Greetings NW Prep Football fans! It is Spring and the recruiting center here is as busy as ever. 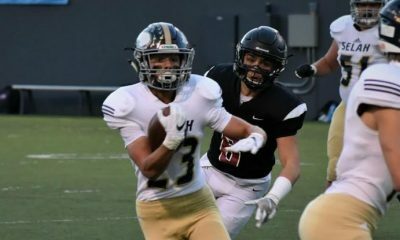 I wanted to take a moment to remind you all to send in your HUDL film links and highlights (make sure to read our 10 play highlight guide) and make a great film before you do. That helps us and helps you too! Helping each other, something everyone says but it is hard to figure out in these days in who is really helping and who is making a buck while telling athletes what they want to hear. 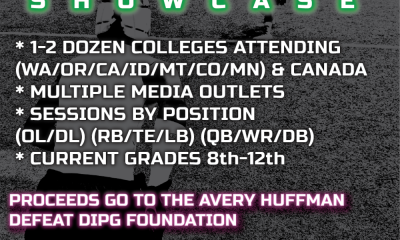 While many in the Private Football world seem to be out trying to promote Kings, or Bulls, or the #Mob they generate others are doing some really good work on another level Lost in this modern day #HYPE world seems to be the parents of the athlete, the High School Coach, and the kids themselves. Few if any speak of things like Core GPA, technique, and what truly works to get to college as a football player. Before you do anything else this off-season look at what you are doing and who you are surrounding yourself with and decide if the motives and reality of everyone is clear and where you want it to be. Teamwork in recruiting is as valuable as teamwork on the field. It is perhaps the most underrated aspect of life in almost all phases of life. The word gets thrown around but doing it is a daily commitment. 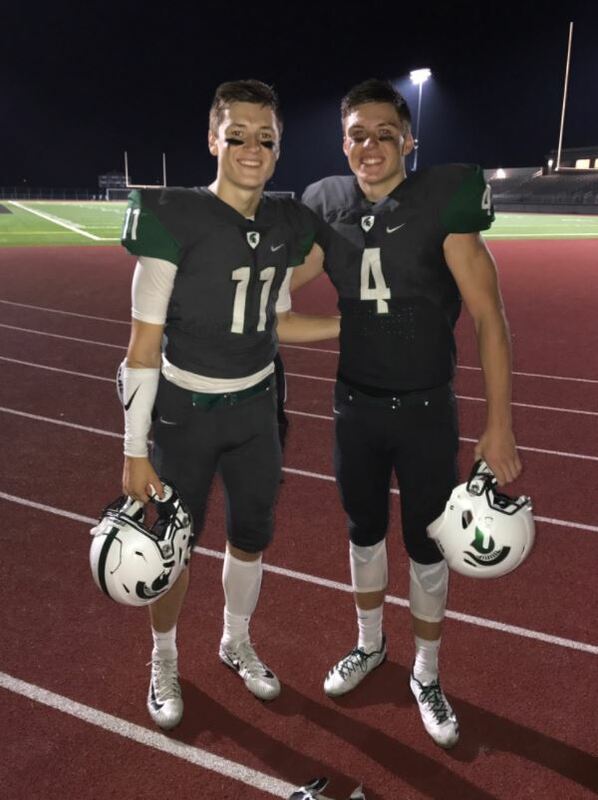 One great example of teamwork came this week when rising star Quarterback Joe Green out of Skyline tweeted out some love to his teammate Chris Johnson. Regardless of the fact that Skyline High, where both athletes attend school, is a recruiting hotbed athletes still get overlooked. Green who made a name for himself as a Sophomore is on the map for sure. The Senior went off for 2,800 yards last season for the Spartans and had 27 TDs. His 68% completion rating and other key stats and his 6’4″- 200 lb frame have colleges circling in as we speak. 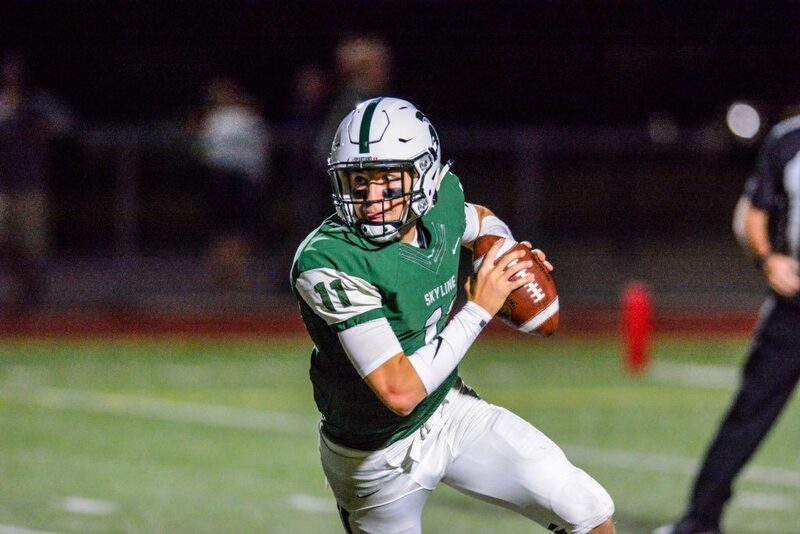 Joe Green of Skyline High School (WA) is one of the top QB’s in the Class of 2019. Joe has some advantages over others in that he watched as his brother Billy Green went through the process a few years back with the family and mentors around him helping him make it to BYU before he moved to Weber State where he has had some terrific success. 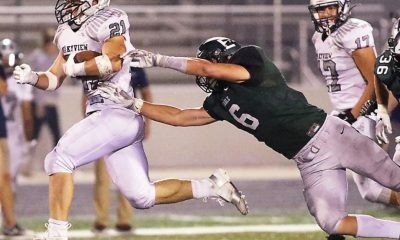 Advantages or not Joe’s talents are for real and he is going to be another in a long line of Spartans who will go on to play in college. Where Joe shined out the other day as a team member and friend was in his tweet about Chris Johnson. Green was letting anyone watching know that his longtime friend and teammate was for real. Johnson was Fresh off the Pylon 7-7 tournament where his size (6’5″- 210 lbs) and speed (4.5 40 yard dash) illustrated his raw ability. That Tweet had me watching the 7 On film where Johnson did carve it up for Team FSP who as expected damn near won the whole thing. 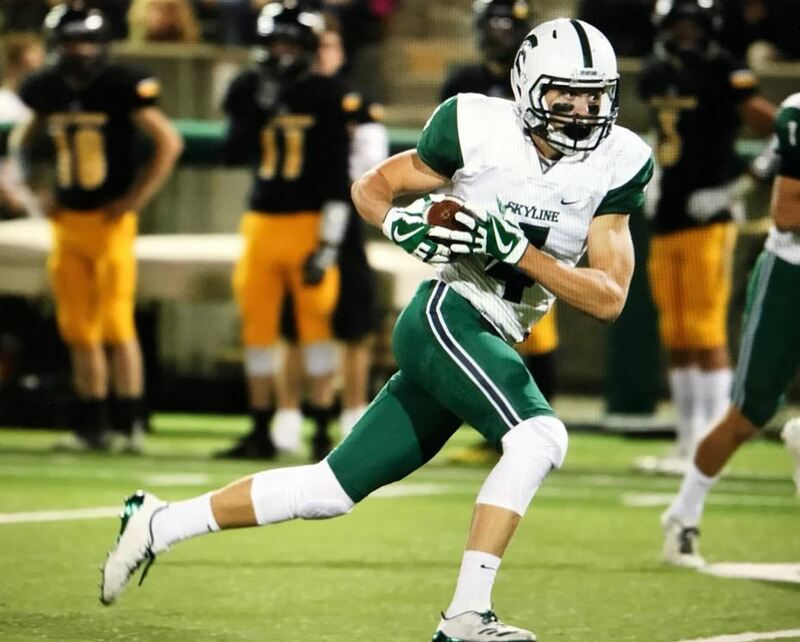 No one of any talent level at the DB or Safety position could stop the big kid from Sammamish. Havings said that this is 7 on 7 and it is no indication in my opinion (David Shaw and many other coaches agree with me on this) of the player’s ability to play the game in pads. The first thing a good coach or analyst does is head over to HUDL. It took me a while to find Chris Johnson’s Junior film but I did. That film is now pinned to the top of his HUDL page instead of 27 films down (great job Chris). That film which you can watch right here is good – it is very very good. As Junior, he was lighter and not as big as he is now. But he showcases all of the things we look for in a great receiver. Chris is fast too. He is tracking to become the prototype of what big-time colleges at all levels are looking for. While speed is a premium at the receiver positions it is, in fact, the combination of speed and size that is proving to be what colleges want most. His 4.5 40 appears quite legit. Once he is in his routes there is virtually no way a defensive back can stop him. He can use his assets once open to get in position to catch the ball and it quite frankly folks it is over. Because he can catch there is no physical way a 5’10” to 6’0″ DB can stop him. Even with a 40″ vertical I do not see it happening. The big athletes in the NFL have proven this very fact and in HS it is even more obvious. Chris Johnson is 6’5″ and 210 lbs. and a rising star in the class of 2019 out of Skyline HS in Washington. “CJ is truly a kid that’s good enough to go anywhere. He’s 6’5 210 lbs and runs a sub 4.6 with some of the best hands I’ve seen. His film this next year will show it,” said Green. Realizing how good he is is going to help him tremendously. There is no doubt that Tracy Ford’s teams went to the biggest 7 On even in the Nation and walked off as one of the best teams. They showcased a lot of talent and Johnson was defended by athletes with bigtime offers and he beat them. That and his season last year are building confidence which he expressed. This is a young man growing into this monstrous frame that we believe he is just beginning to learn to use. College coaches will love hearing that- give them a talented and hungry big body who has not peaked and they are going to make him special. What about recruiting? He did, in fact, post up 700 yards and 8 TD’s last season at Skyline. He says it has been pretty quiet but thanks to Green who is posting his pals footage and stories like this one that may all be about to change. He says he is committed to the college football dream and has added basketball and is doing track as a way to work the entire body and skill set. “Absolutely (playing college football) that is my top goal. 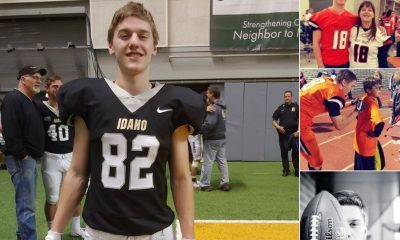 I’m interested in Montana and Montana State, WSU, Eastern, Boise, and Boulder (Colorado), and for sure the UW,” he stated going on to say he is interested in the entire Pac 12, Mountain West, and Big Sky and is willing to look at any door that opens. He is also playing defense which is great saying that he played linebacker last season and will be playing safety this year. Wow that will be fun to watch. Green is hearing from Boise State and the Ivy’s and a number of other schools. Offers coming over the Summer seem very likely indeed for the QB. Our interview with these two amazing teammates and friends ended with a quick reflection by Johnson of where he would assess his skill set right now. Teamwork – helping each other get better and find opportunities. These two are a great example of that. We our all doing our part. If you have a great team mate and want to send them some love and have us take a look send us their info at our social media below and tweet with hashtag #NWPREPSTAR and we will do our thing!